Yardfarmer Julie Pierre describes how best to say no when someone invites you to farm a lawn that’s not right for your yardfarming efforts. In any relationship, telling someone “No” can be difficult. That can become even harder when that someone is a potential customer. But learning to say no is something I have found to be very important to my yardfarming business, Our Yards Farm. Land is one of the most important factors when it comes to farming successfully. Access to not just land, but quality land, is something that is essential whether you are growing on traditional farmland or a series of yards. As a yardfarmer I take people’s unused yard space and transform it into vegetable plots. In exchange for that land I trade produce to the landowners. 2015 marked Our Yards Farm inaugural season. The first year my goal was to take land from anyone who was willing to have me. For me, this was about reclaiming the wasted resource that is lawns, and making that land productive again. Every day the United States loses over 3,000 acres of farmland due to development. In the last 20 years alone the US has lost over 8% of its farmland to suburban sprawl. In the US, 40 million acres of land are currently lawns. Think about how much food we could grow on that land! This small plot was so shady that even grass wouldn’t grow. 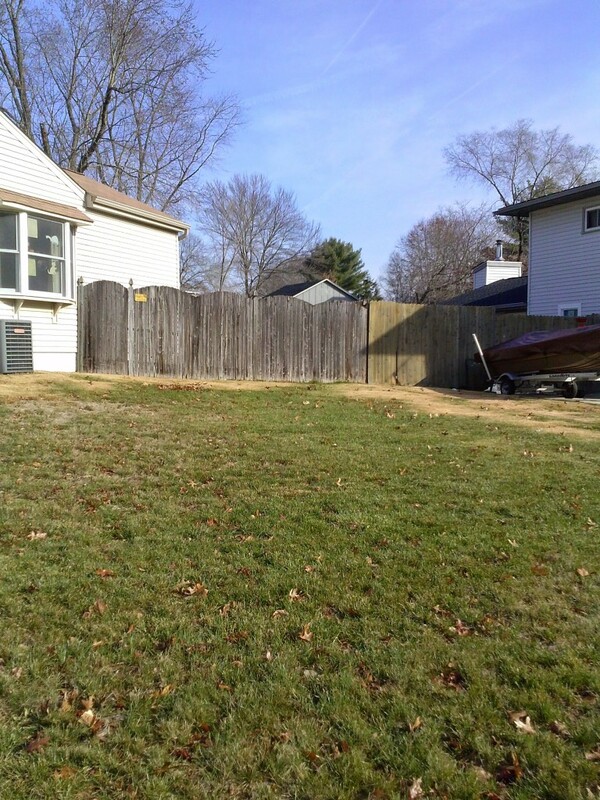 While I signed a lawn agreement with the owner (offering just a discount to reflect my low expectations), in the end I decided not to break ground here as other plots offered better returns. I was looking for people who shared my mentality and wanted to work with them, regardless of what type of land they had. I was also nervous about finding members in my community who would be willing to work with me. I have to admit that I was almost desperate for people to validate my yardfarming idea. I felt as though I needed to take every land offer that was on the table. While that is fine in theory, it doesn’t work in practice. After my first season I have learned that I can’t make every piece of land work. 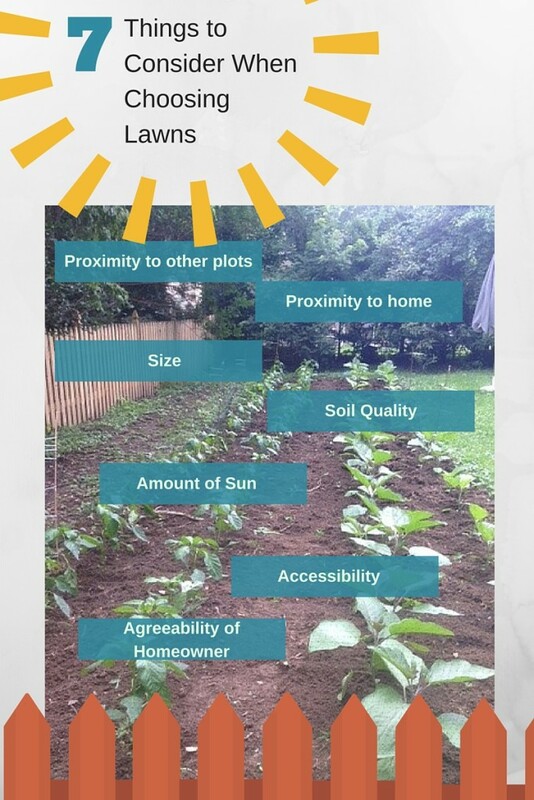 There are many important factors like fertility, sunniness, soil type, size, and proximity to my other plots, just to name a few. As I strive to make my yardfarming business sustainable, both financially and environmentally, it’s imperative to set myself up for success by choosing spots that fit most, if not all my requirements. Farming can be hectic. Add on having to drive more than a few minutes to get from plot to plot for a small or shady, unproductive spot and you’re sure to have a frazzled, unhappy farmer and an unsustainable farm. That means telling some of my first lawn partners that I can no longer continue to farm their yards, which quite frankly, stinks. These were some of my biggest proponents, the “early adopters.” They trusted me and opened up their yards to me when I had no track record or history of success. This large and sunny yard is a yardfarmer’s dream plot and made the cut for season two. Admittedly it is a side lawn and so is visible from the street. That’s great as it makes the yardfarming visible, though, if neighbors complain it can add to farmer—and yardowner—stress. However, they were not that surprised to hear the news that I would not be coming back. They could look out each day and see a fairly sad, unproductive plot. In fact they even felt bad about it. One member even apologized for her “bad land” almost like she was apologizing for her own character flaw. Of course it was not at all their fault. It was mine, for thinking I could make any spot work, when that is just not the case. (And while that might sound terribly like the clichéd “It’s not you, it’s me,” in this case it really was true.) And even if, in the end, I broke off some land partnerships, I will always be grateful to these people and will continue to find other ways to make sure they know they are valuable members of our CSA and farm community. As I look forward to my second season I continue to be contacted by community members who are interested in trading their lawns. 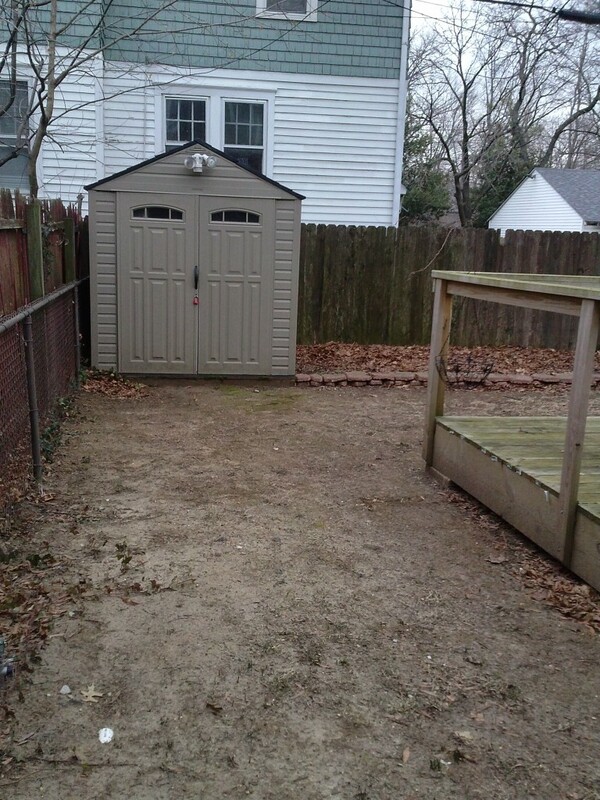 This year, my goal is to reduce the distance between my plots so I could potentially walk or bike to each one. I’m also saying no to lawns that are too small, too shady or riddled with tree roots. While it might be a while until I find the perfect set of yards that meets all my needs, each season I will make strides so I can improve the farm’s financial and environmental sustainability. Now that I know I have a community that supports my yardfarming business, I can recognize that sometimes telling your customers “no” is the right thing to do not only for yourself but for them too. 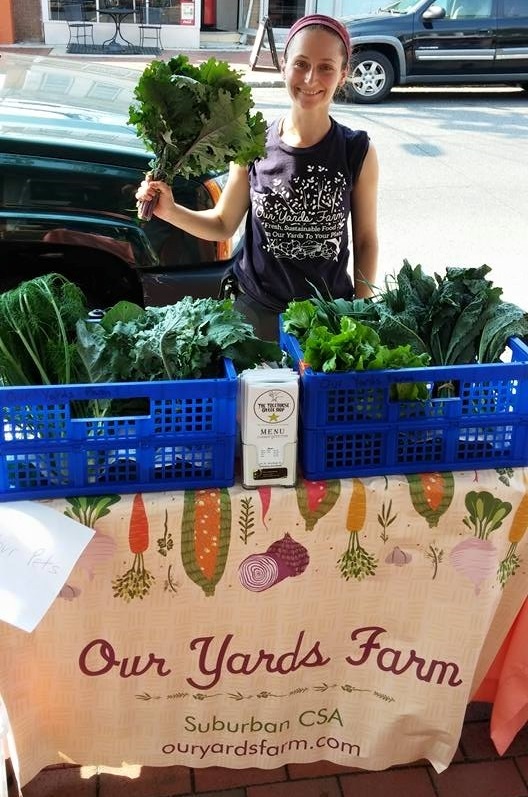 About the Author – Julie Pierre is a yardfarmer and owner of Our Yards Farm.